Clear all jellies and reach 56000 points to complete the level. This level has medium difficulty and you need to use good technique to complete this level. 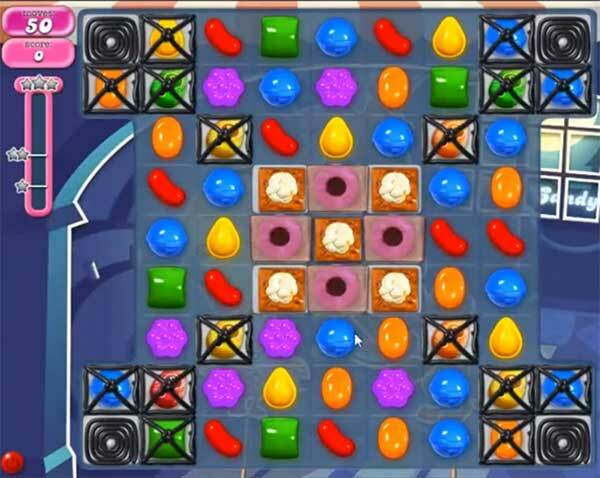 For this level you should try to play near to popcorn blockers and use colorbomb with striped candy to break the grills and jellies. After play more near to jellies to break all to reach the target.